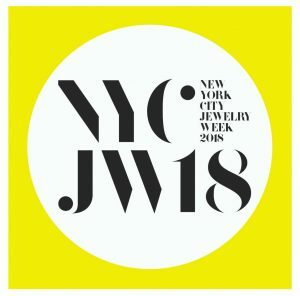 New York’s first annual week dedicated to celebrating jewelry, launches November 12-18, 2018. 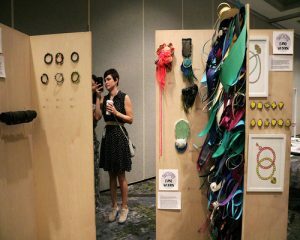 Over 20 jewelry-related exhibitions and more than 90 events will activate venues across the city. Join SNAG for a Meet & Greet at Mother’s Ruin, 18 Spring Street, NYC on November 14th from 4:00-6:00pm! Loud and Clear: Voices from the Empire State – curated by Biba Schutz and Marjorie Simon. Featuring: Lynn Batchelder, Jamie Bennett, Klaus Burgel, Pat Flynn, Tom Herman, Reiko Ishiyama, Sergey Jivetin, Alex Lozier, Darcy Miro, Jonathan Wahl, and Kiwon Wang. November 12-16 at Maison Gerard, 43 E. 10th St. A. Opening reception November 14, 6:00-8:00pm. Parallel Lines – Contemporary jewelry from Israel by women artists. Featuring Naama Bergman, Tamar Navama, Ruta Reifen, Dana Hakim, Noga Harel, Vered Kaminski, and Einat Leader. November 12-16 at Maison Gerard, 53 E. 10th St. A. Reception November 14, 5:30-8:00pm. Charon Kransen Arts – Join Charon Kransen Arts for From Afar, a selection of works by Kadri Mälk, Katja Tóporski, Fumiki Tagushi, Mirjam Hiller, Niki Stylianou, and others. November 13-15 at Djuna, 4 West 29th St.
Earrings Galore – curated by Heidi Lowe and Shella Robinson. Featuring the earring in all its glory, this exhibition highlights more than 50 artists from the United States and abroad. November 13-18 at Heidi Lowe Gallery, 171 Elizabeth St. Opening reception November 13, 6:00-9:00pm. Special reception November 16, 6:00-9:00pm. #fail #success – curated by Manuela Jimenez and Kendra Pariseault. Instagram offers the public a new and unique view into a maker’s studio. The exhibition showcases this tool and walks the audience through the creative process of the maker. Featuring Manuela Jimenez, Kendra Pariseault, Arthur Hash, Amelia Toelke, Emily Cobb & Mallory Weston, Kurt Pio, Ho’o Hee, Aurelie Guillaume, emiko oye, Georgina Trevino, Sena Huh, Laila Costa, Franziska Stetter & Thiago Piwowarczyk, Camila Escobar, Silvia Ardila, Maria Tritico, Sam Tyson, WooJungKim, Bryan Parnham, and Sarah Holden. November 12-18 at Artists & Fleas, 569 Broadway. emiko oye speaks November 13, 4pm, sponsored by RISD. ANTIQUEMANIA – curated by Ana Estrades and Sasha Nixon. Brings together an eclectic group of contemporary jewelers whose different approaches to historical jewelry create an enriching visual dialogue between the past and the present, ancient and contemporary identity, materials, techniques, and aesthetics. Featuring: Isabelle Busnel, Ashley Buchanan, Miranda Leigh, Jennifer Trask, Melanie Bilenker, Kelly Jean Conroy, Rachel Andrea Davis, Alicia Jane Boswell, Jeanette Caines, and Mike Ellis. A panel discussion moderated by Karen Bachmann featuring Isabelle Busnel, Kelly Jean Conroy, and Jeanette Caines takes place November 16, 6:30-8:00pm. Reception to follow. Pratt Institute Manhattan Gallery, SCPS Gallery (2nd floor), 144 West 14th St.
KNOCKOFF – a curatorial collaboration between artists and professors of Jewelry and Metalwork Kerianne Quick (SDSU) and Jess Tolbert (UTEP). A roving exhibition that repositions the value of contemporary jewelry by presenting it on the street. On November 15 the KNOCKOFF team will move through the city with displays in tow, ‘popping-up’ near scheduled NYCJW events. Participating artists: Jessica Andersen, Nikki Couppee, Katie Kameen, Sharon Massey, Kerianne Quick, Jess Tolbert, Georgina Trevino, MJ Tyson, and Petra Winnwalker. Follow @knockoffexhibition for times. The Kinship Between: American Women Jewelers – curated by Mark McDonald and Sienna Patti, featuring new work by four contemporary artists: Räissa Bump, Noam Elyashiv, Rebekah Frank, and Gabriella Kiss. November 12- 21. The Jewelry Library, 1239 Broadway. collection of new work from the JV Collective, a group of six female artists (Mallory Weston, Emily Cobb, Sarah Rachel Brown, Maria Eife, Melanie Bilenker, and Leslie Boyd). Join us for a one day ONLY event on November 17, 11:00 am-5:00pm with a reception from 7:00pm-10:00pm. Ghost Gallery, 893 Bergen St.
SUNY New Paltz – The SUNY New Paltz Metal Program presents denizen, an exhibition of art/jewelry/objects in the legendary Hotel Chelsea. As temporary occupants, artists install their work in Bay 7 – a raw, unpolished site within this historic building. 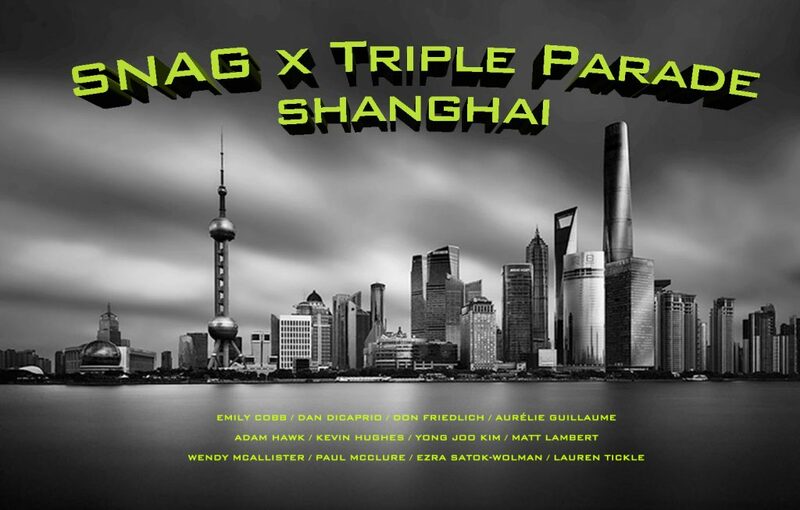 Artists include: Sylvie Alusitz, Lynn Batchelder, Jamie Bennett, Julia Betts, Xiao Chen, Min Jae Eom, Zhike Gan, Michael Gayk, Stefan Gougherty, Liz Leupold, Betsy Lewis, Ruizhi Li, Myra Mimlitsch-Gray, Irene Raptopoulos, Alejandra Salinas, Jolynn Santiago, Jamie Scherzer, and Kehan Wan. November 15-16, 11:00am-7:00pm. Closing reception November 16, 4:00-7:00pm. 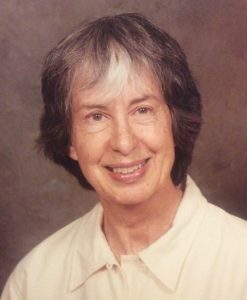 Hotel Chelsea, 234 W. 23rd St.
Long-time SNAG member Nancy Monkman passed away on October 2, 2018. Nancy served as the editor of SNAG News for over a decade until August 2009. 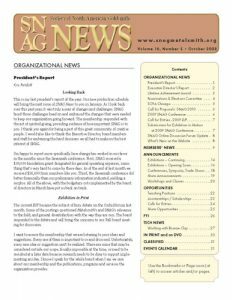 Her excellent work on the newsletter while it was still a printed publication helped all of us become more informed and appreciative of what was going on with SNAG and its members. Nancy was also a founding member of the Metal Art Society of Southern California and a member of Northern California Enamel Guild. There will be a celebration of her life on November 3, 2018 in Pasadena, CA. SNAG members who are interested in attending can contact SNAG for more information.